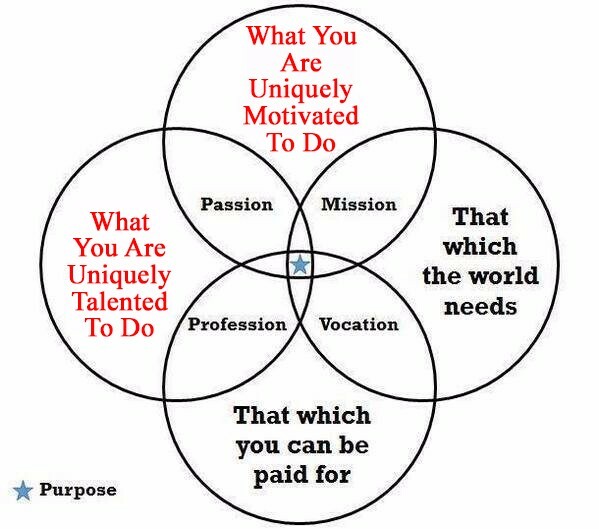 In part one of our “Discovering Your Unique Purpose” blog series, we changed the first circle of the Venn Diagram from “That Which You Are Good At” to “What You Are Uniquely Talented To Do.” We explored the concept of “That Which You Are Good At” and found that it is often a trap of sorts. 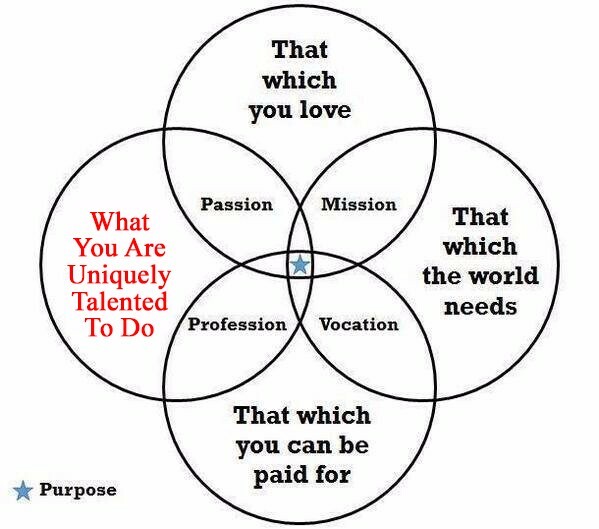 “That Which We Are Good At” is often merely an area of competency and we outlined the dangers of trying to identify your purpose using strictly competencies. You can read that first blog here. 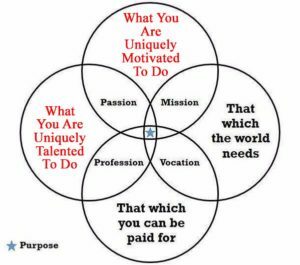 In part two, we will examine the next most common attribute to find your purpose, “That Which You Love.” The problem I have found with this attribute is that it’s just far too broad and encompasses far too much. I love music a great deal and for many reasons, but that will not help me with finding my purpose. I love to garden a great deal (and have for most of my life), but that would be a dead end for finding my purpose. I love my grandchildren, I love to eat great food (especially with friends), I love to fish, and I love to spend time in nature. There are many, many, many things I love, so how do I narrow down the possibilities? What if you could discover what you are intrinsically motivated to do? Things you are so powerfully intrinsically motivated to do are things you do whenever you can, whether you are paid to do them or not. These intrinsic motivations are known as Central Core Motivations. Just like the unique talents and strengths touched on in part one, you can develop and apply these Central Core Motivations to accomplish significant achievements in all areas of your life. Even more powerfully, your Central Core Motivations show how you will use your unique talents and strengths. If you combine powerful talents with powerful motivations? Watch out! You will experience increased energy, focus, effectiveness, impact, deeper satisfaction, and joy. You will discover a true passion for what you can uniquely do, your unique contribution to the world! If you would like to learn more about how you can discover your talents, strengths and core motivations, please check out our web site at www.equip2equip.com or contact our Administrative Assistant Shirley at shirley@equip2equip.com.